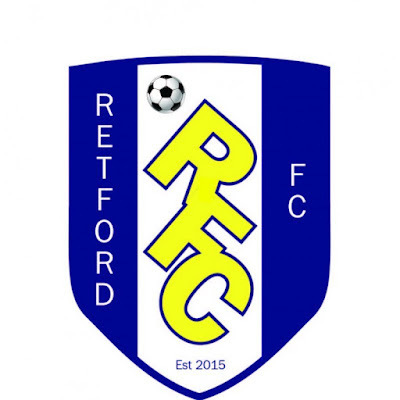 RETFORD is one of the youngest clubs in football, having been formed as recently as 2015. 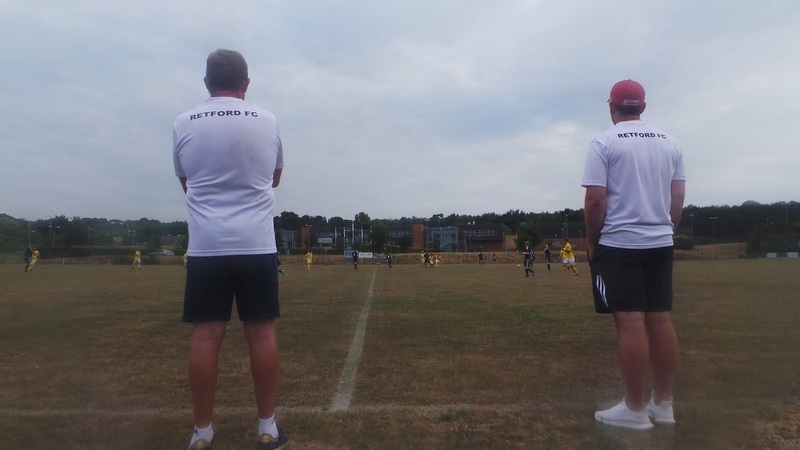 They joined the Central Midlands League North upon formation and have played there ever since, finishing 7th, 6th and 5th in their three seasons here. The club has not yet entered the FA Cup but did play in the FA Vase in 2016, losing 3-0 at Leicester based side St Andrews FC. Their nickname of the 'Choughs' comes from the pair of birds that are on the town’s badge. 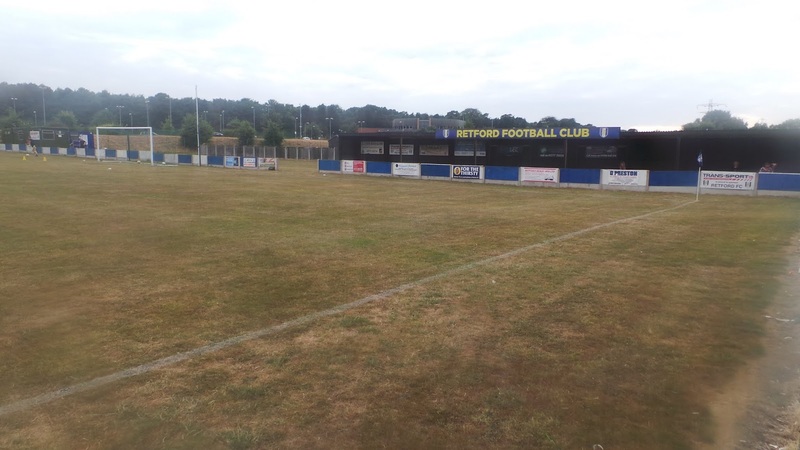 For the first time this coming season, they will face local rivals Retford United for the first time in league games, United having suffered a fall from grace in recent times, having played as high as the step 3 NPL Premier. 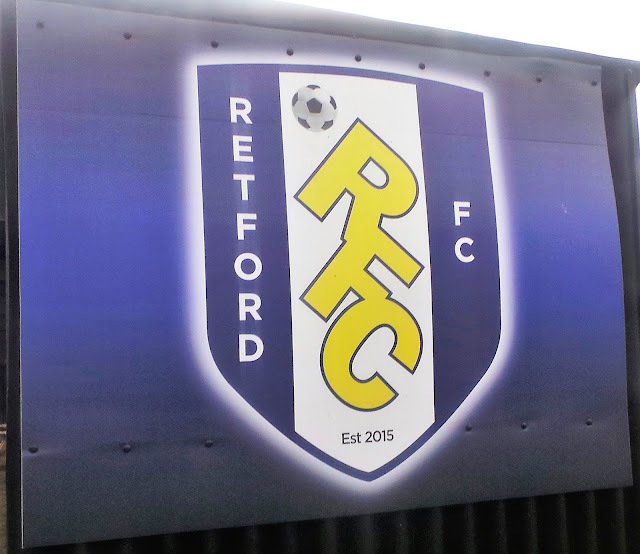 The town of Retford itself has a population of just under 22,000 and has a great range of pubs considering its size. 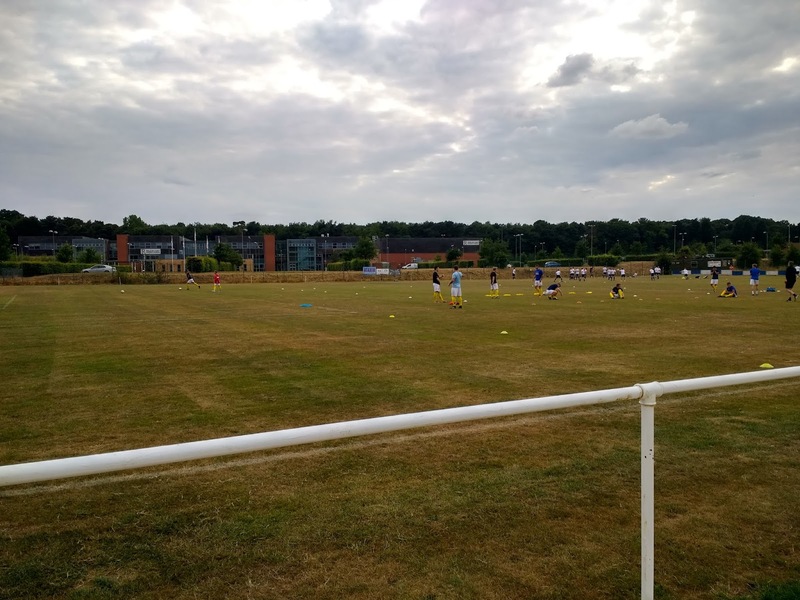 Famous people to hail from the town include Liam Lawrence, the former Portsmouth and Republic of Ireland footballer. I'd been wanting to go to Retford for some time, although I'll admit my initial interest was in their rivals Retford United, a club that had suffered a fall from grace in recent times, having once played in the NPL Premier, but now sharing a step 7 league with their newly established rivals. 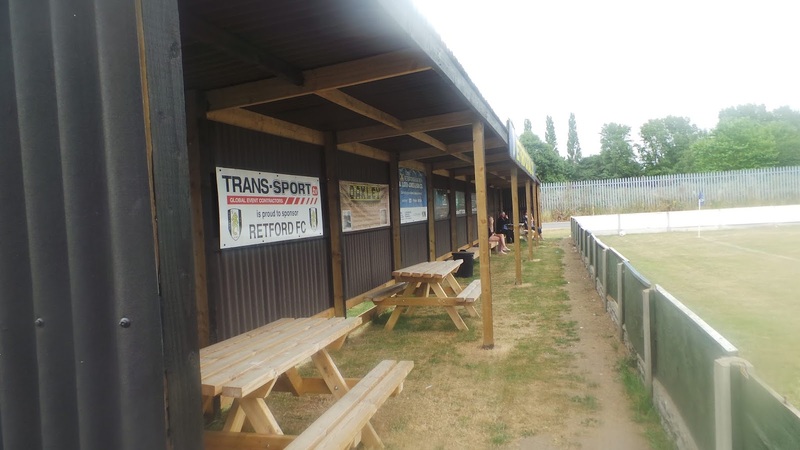 Retford FC were playing at the former home of Retford Rail, a pretty good venue and one that was in the town centre. This town had a number of interesting looking pubs and so really, it was one to do when I could sleep overnight. The only problem was, the accommodation was really expensive - £50 a night for a basic B&B. A solution was found with a nearby campsite - Little Oak Camping. 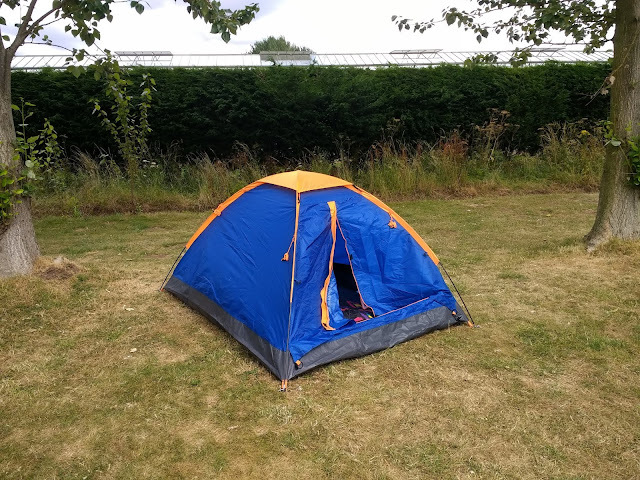 They charged a tenner a night for a pitch, together with a £13 tent from Tesco, I had a bed for the night as well as something that could save me money in the future. 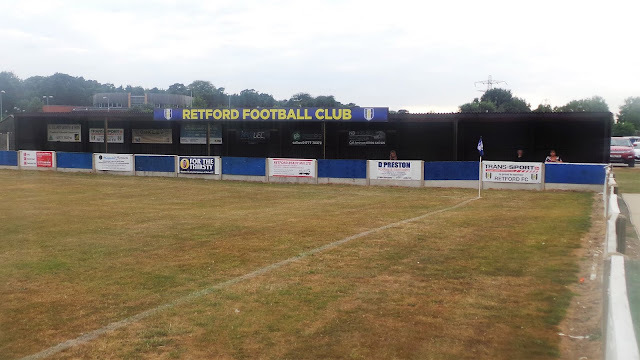 I planned a game for Thursday afternoon and evening to make the most of my driving up north, whilst keeping an eye on Retford's Twitter in case of any late cancellations. 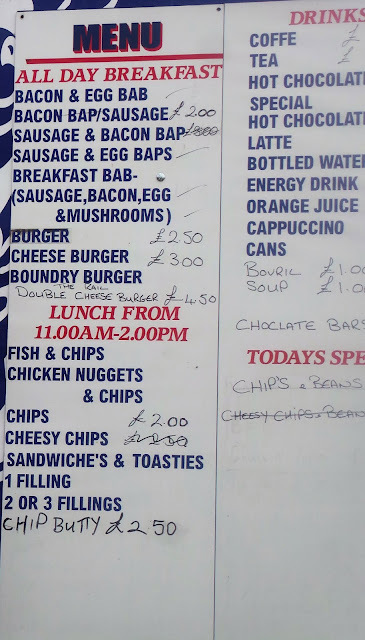 I'd spent the night before at Wycombe Wanderers v Brentford, not the groundhop I wanted, but a reasonably cheap option. It was nice to catch up with some old faces, even if we were disappointing in the second half, eventually losing 1-0. I woke up fairly early on the day of the game, failing to get the big nights sleep that I wanted on my week off. After having some breakfast I took my Aunt's dog who we are looking after for a walk. When I got back, I opened my birthday presents, including a very nice Sony Smart speaker. I got all the stuff in my boot, leaving at 11, first listening to my new Lancashire Hotpots CD and then Jeremy Vine on Radio 2. About 12.30, I stopped at McDonald's for lunch, having a BLC and fries for under £2.50. It also gave me half an hour rest and a chance to catch up online. I had to pump my tyre up before I went, but soon enough I was on my way. There was a brief delay of around 20 minutes thanks to rubberneckers slowing down to look at an accident on the other side of the road. By the length of the tailbacks, it looked a pretty serious one, but I'll never understand what kicks people get out of seeing someone else suffer misery. I got to my campsite at 2.45 to be greeted by the friendly owner. I soon had my tent up, spending around half an hour at the campsite before walking the mile and a half into town. It was a pleasant afternoon for a stroll and with bags of time to spare, I was able to undertake a leisurely pace. I stopped for a peek in the estate agents and property was very good value in what was a pleasant town. Though not the cheapest in the country, it was still less than half the price in Wycombe and strengthened my belief that the way forward is a move up north. It would certainly aid my groundhopping ambitions. I stopped at ASDA to get a bottle of Irn Bru before heading into town. Although all of the micropubs were starting to open, I decided that my first stop would be Wetherspoons. The Dominie Cross was my 167th Wetherspoons. Though it might have been a bit worn on the outside, the inside was a gem. 5 real ciders including one of my favourites, Black Dragon at £2.75 a pint. A recipe for carnage potentially, so I decided to stick at a single pint until after the game. Despite its 7.2%, it goes down easier than Neymar, and I really wanted to get to and remember tonight’s game. I would, however, be returning later. 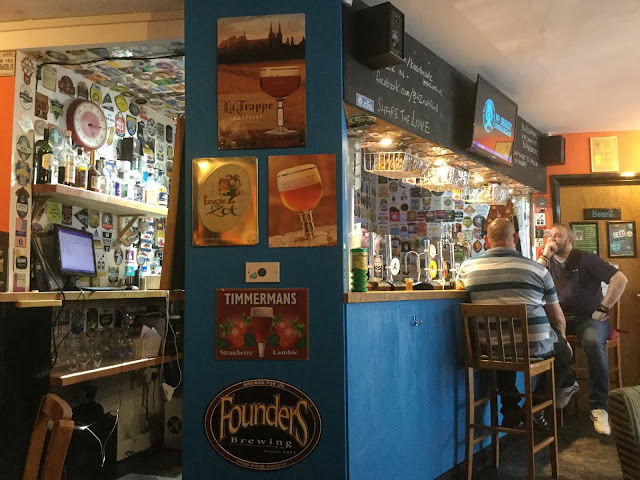 Leaving some friendly locals behind, I made my way to Beerheadz, a micropub. This was another great place, where I had another retry, this time a pint of The General from Sandford Orchards at 8.4%. This one was a cider to sup slowly, rather than sling down the neck. So after a brief stop at Aldi for some chicken and a bargain £3.49 England sweatshirt, I made my way to the Beer Shed. 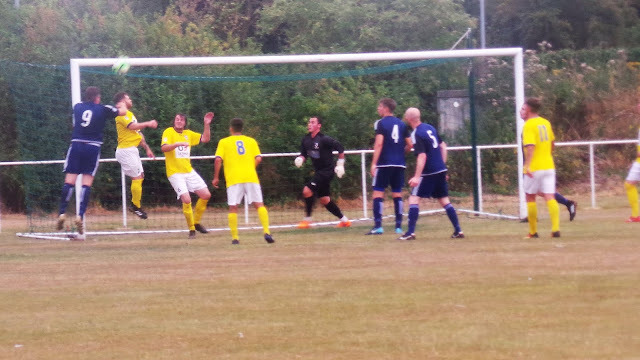 A pint of Sandford Orchards Vintage was tried, with it being another strong one, that was my pre-match drinking done. 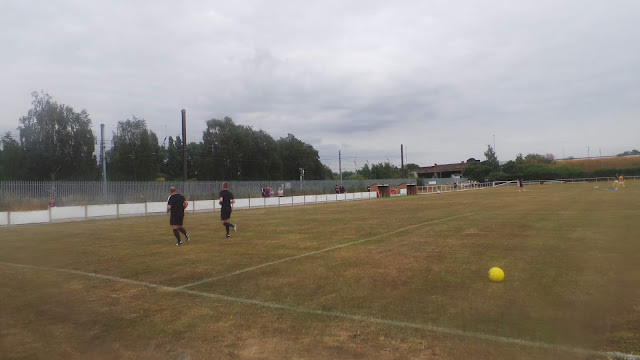 I was happy to get to the ground, £2 entry was good. It was another £2 for chips which were also decent. 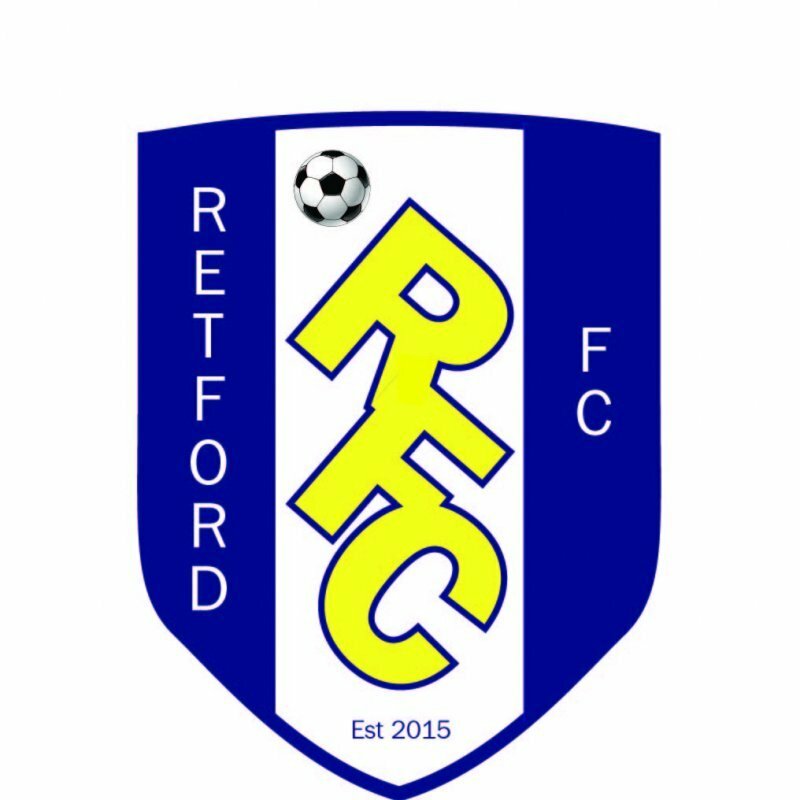 Retford came into the game on the back of a decent 1-1 draw against a young Sheffield United side whilst Cleethorpes Town’s second string side had drawn 1-1 at Humber League side Hessle Rangers. The first half saw the visitors dominating but it was Retford, who capitalised on some sloppy defending, who led at the break, thanks to a close-range effort from Adam Scott on 33 minutes. They’d certainly weathered the storm well but were most effective on the break. Nevertheless, I was pleased for them, as I’d been made to feel welcome. 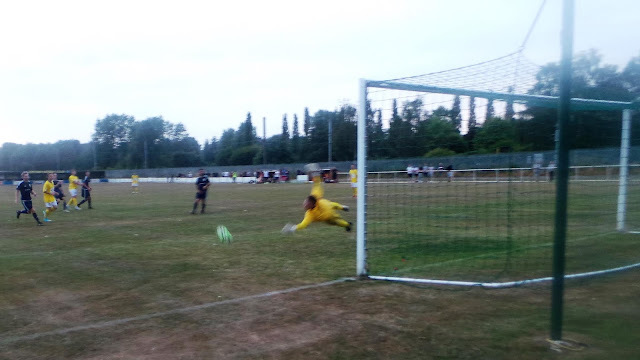 The second half passed without much incident, but the hosts looked comfortable in the lead and were rarely threatened, though the Retford keeper did have to pull off a couple of good saves. A pleasant walk through the park was enjoyed and 15 minutes later, I was back in Wetherspoons. Another pint of Black Dragon was sampled, whilst I caught up on things. 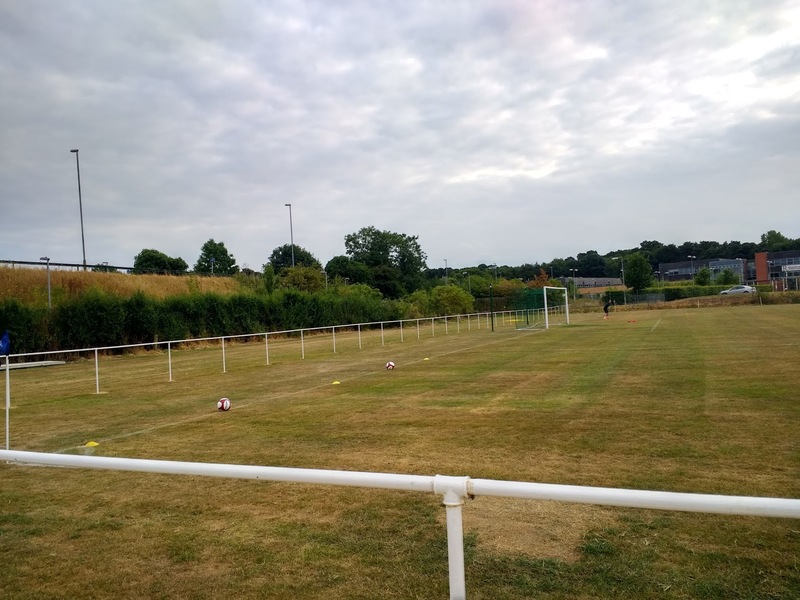 I decided to leave my drinking there and via a pit stop at a local Chinese for some salt and chilli chips, I made my way back to the campsite, arriving around 10.30. I dropped off to sleep fairly quickly, having enjoyed a good day. THE RAIL is an excellent venue for a step 7 side. There’s just the one area of cover, this is behind the goal and has a mixture of sitting and standing. 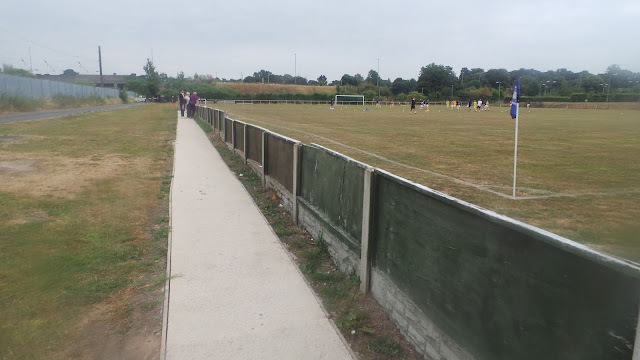 The rest of the ground is open hard standing with the far side being out of bounds for spectators. The tea bar at the ground is a pretty decent effort. There’s a wide range of stuff at decent prices. I didn’t check out the bar, if they did indeed have one, but the town of Retford is around 10 minutes walk away. There are a huge number of pubs here, including an excellent Wetherspoons and plenty of other good places. 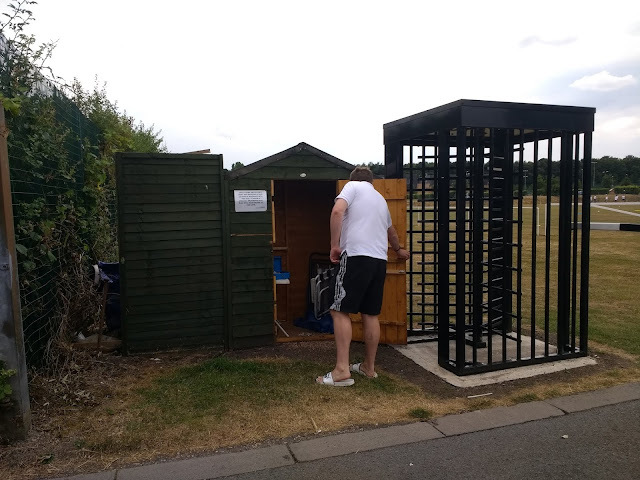 You’ll also find plenty of takeaways and other facilities too.